Hayfield is a picturesque village located in the Derbyshire Peak District in the shadow of Kinder Scout, the highest point in Derbyshire and the East Midlands. Kinder Scout affords spectacular views of the western Peak District and the city of Manchester, with Snowdon in North Wales visible in exceptional weather conditions. 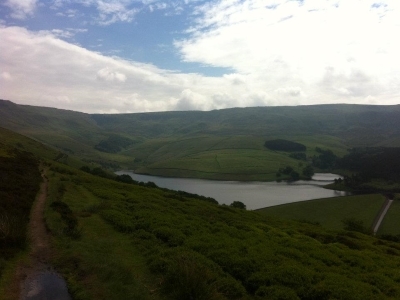 The village was the location of the famous 1932 "Kinder Trespass" in which 400 people participated in a mass trespass onto Kinder Scout as a protest against restricted access rights in the English countryside. In addition, Hayfield is the birthplace of Arthur Lowe, most famous for his role in the BBC sitcom, Dad's Army. More recently Hayfield was used as the main filming location for BBC drama, The Village, starring Maxine Peake and John Simm.